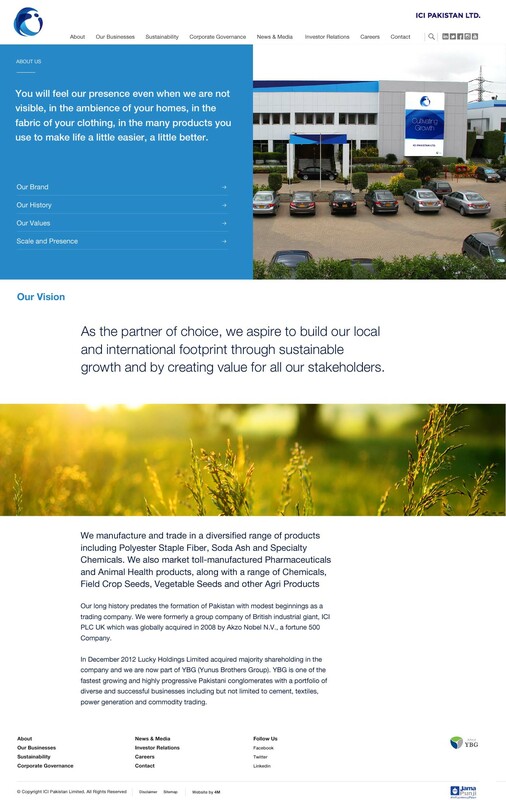 ICI Pakistan Limited (Imperial Chemical Industries) is located in Karachi, Pakistan. 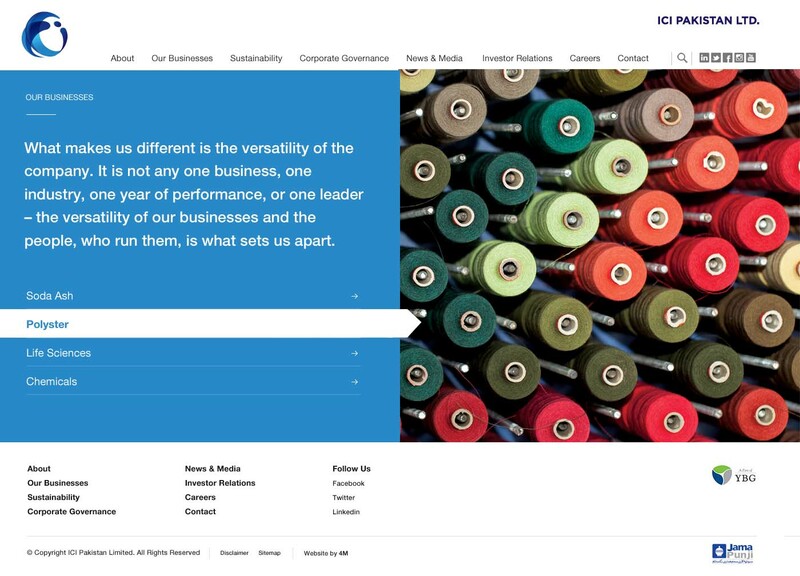 ICI Pakistan was acquired by Younas Brother Group in December 2012 after its parent shareholder AkzoNobel NBV decided to divest its shares from all other ICI owned businesses in Pakistan, except the paints business. 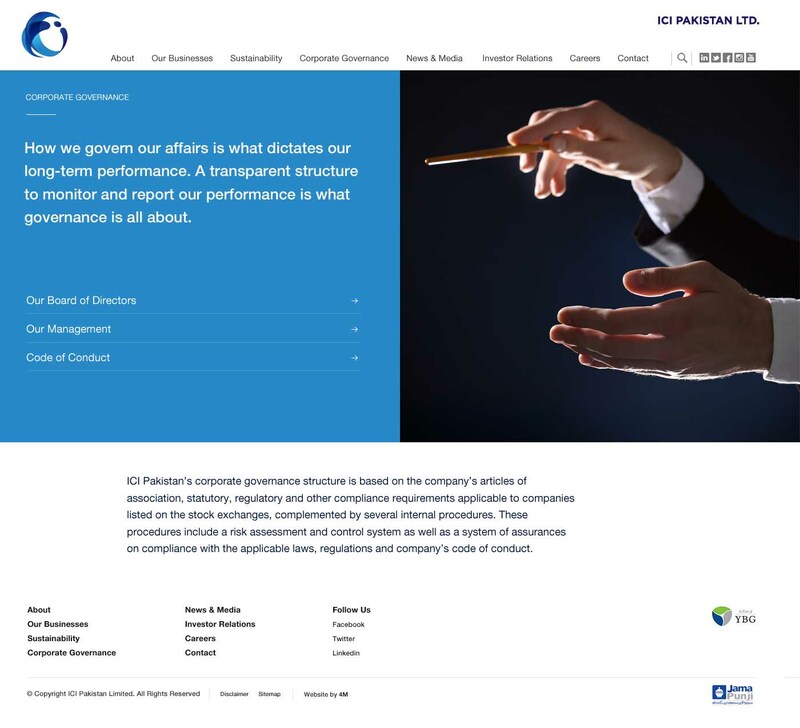 Paints is now listed as a separate entity in the stock exchange with the name of Akzonobel Pakistan Limited. All the remaining business merged to form ICI Pakistan Limited, which now operates under the flag of Younas Brother Group. 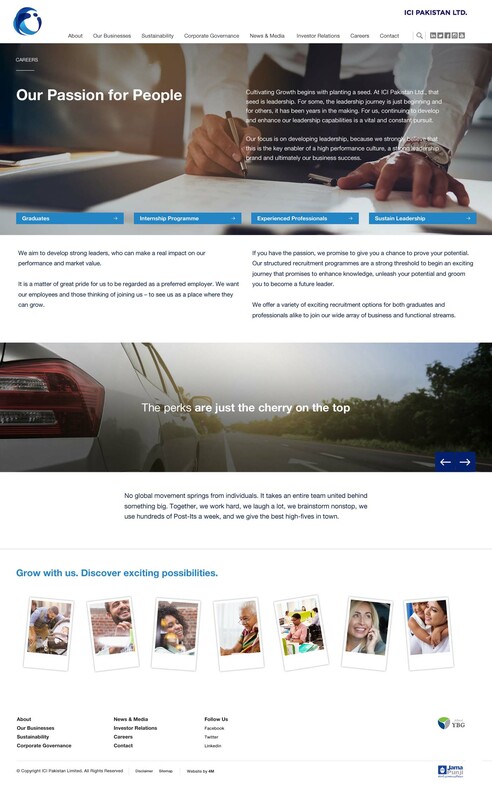 ICI Pakistan Ltd brought in 4M Designers to improve their digital presence. 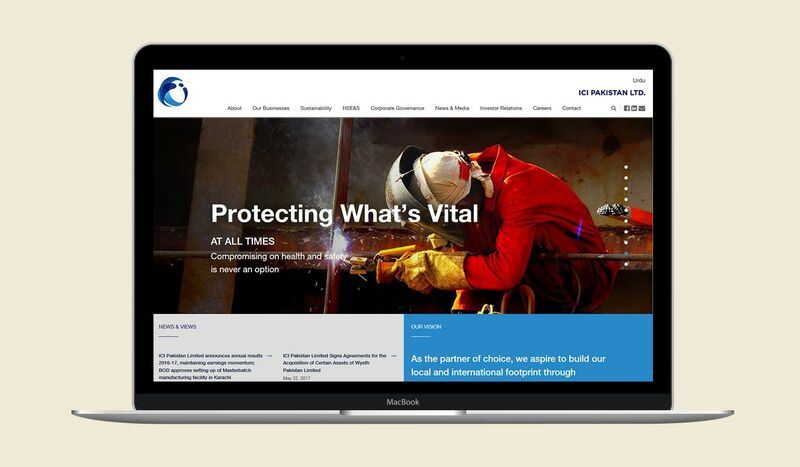 Thinking beyond static web design, our aim was to build an online presence that reflects the true image of ICI’s brand. 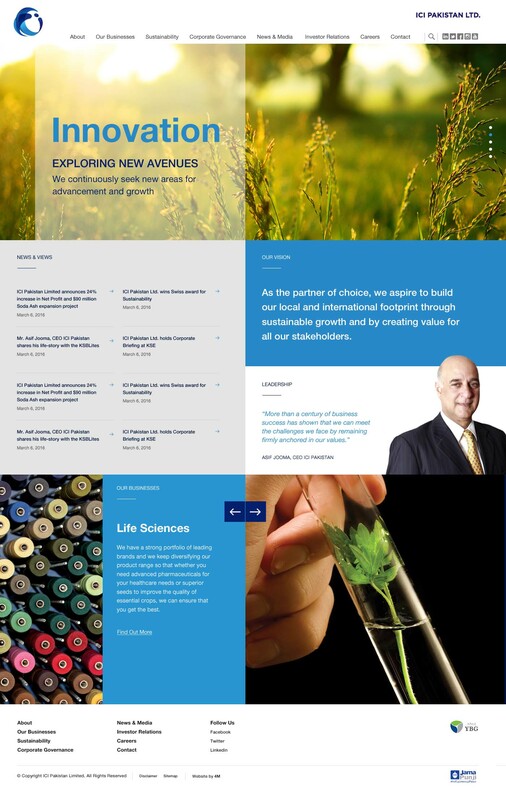 ICI’s website is powered by an intuitive content management system.